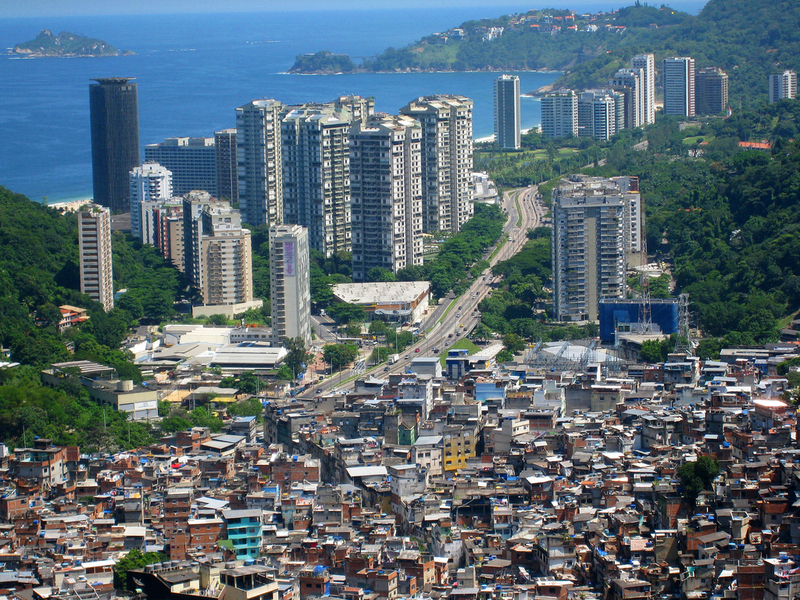 In a sight common throughout Latin America, the favelas of Rocinha, Brazil look out over luxury apartments. Photo by AHLN. Latin America is the most unequal region in the world, where crumbling slums sitting next to luxury apartments is a common sight. This economic inequality has a hugely corrosive effect on many other areas, contributing hugely to the discrimination faced by women and indigenous communities. The more unequal a society is, the less healthy it is – both public health indicators like life expectancy, and measures of social cohesion are much higher in economically equal areas compared to unequal ones. In fact, economic inequality contributes more than any other factor to the extreme violence that plagues many Latin American cities. Not only is this situation toxic to a healthy society, it is also toxic to a healthy economy. The World Bank and the IMF have found that inequality decimates economic growth, while Oxfam noted in 2013 that the $240 billion added to the fortunes of the world’s billionaires that year was enough to end world poverty four times over. In many cases, inequality is self-sustaining, as poor people find themselves locked out of educational, political, and economic opportunities. At LASC we recognise the hugely negative impact inequality, in all its forms, has across Latin America. In fact, this perspective has informed much of our work and campaigns, from migration to health. Many of our events and discussions have revolved around inequality in some way, and the issue continues to be a major concern for all of us.